Life is short and uncertain. Start with dessert. An amazingly moist rich chocolate cake with light-as-air chocolate frosting. This is the ultimate chocolate layer cake. I consider my birthday to be my personal New Year and celebrate accordingly. No overcrowded soirees and schwanky duds for this chicken; I prefer good company, introspection, bubbles, and my du jour favorite foods. This year, I had a hankering for Cuban sandwiches and chocolate cake. Cubans are pretty straight-forward (except that I used chicken … I just cannot help myself with the experimenting… it was okay; pork’s better). Cake, on the other hand … cake takes thought. Given that I’ve grown up with the queens of chocolate cakedom (Nonnie and Mom), this couldn’t be any ordinary cake… it had to exceed expectations. I was having a needs-expectations-exceeded birthday so the pressure was real. Birthday drama is my jam. Even made up cake drama. I forgot how much I love this cheesecake. I’ve made it on and off – obviously mostly off recently – for the better part of my baking life. The first time I made it was for a boss’s birthday many moons ago and then for quite a while it was my go-to party dessert. Somewhere along the way, much like mood rings and shoulder pads in ladies suits, it fell out of favor or I got bored with it … In either case, my loss. But no more! 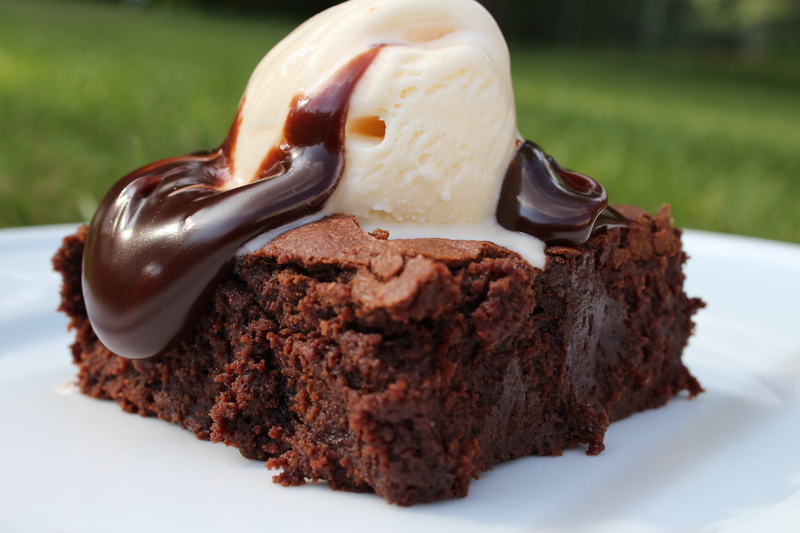 Doing a Google search for “brownie recipe” brings up a whopping 3.96 million hits. Even narrowing the parameters to include only “the very best brownie recipe” drops it to a mind-boggling 1.44 million hits. Methinks someone is lying there… Let me save you the trouble. Just make these. Ah, this may take convincing, I see. I understand completely. I am a chocolate snob. A chocoholic. A chocomaniac. A connoisseur (when in doubt say it in French! Adds a certain weight, a certain panache … see what I did there). These brownies are not quite cake-like but not fudgey. They are densely chocolatey but not heavy. They have a silky texture that defies their ease of preparation. Need more? They catch men! Being as I’m married, I practice the old catch-and-release … oh, I digress.